For Law Enforcement, HSS produces easy to deploy Cellular Intercept Systems. Law Enforcement agents who are not technical have expressed the desire for easy to use monitoring systems. Therefore, cellular monitoring equipment has been designed with simple functions and instructions. This saves Law Enforcement time and resources when training users to intercept criminal and terrorist cell phone communications. 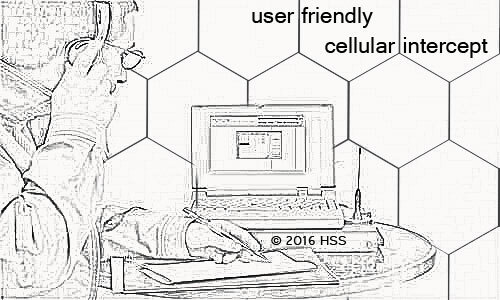 HSS Cellular Intercept Systems are user friendly. They require minimal training and boast a user friendly graphic interface for the operator. With some systems, the decryption technology is readily available as a customized package. HSS Cellular Intercept Systems do not require a connection into any cellular phone network. Our systems simply operate in parallel to the network, as opposed to hard-wire junctures or non “off the air” monitoring systems. In addition, the audio digital recording capabilities integrated with HSS Cellular Intercept are also user friendly.